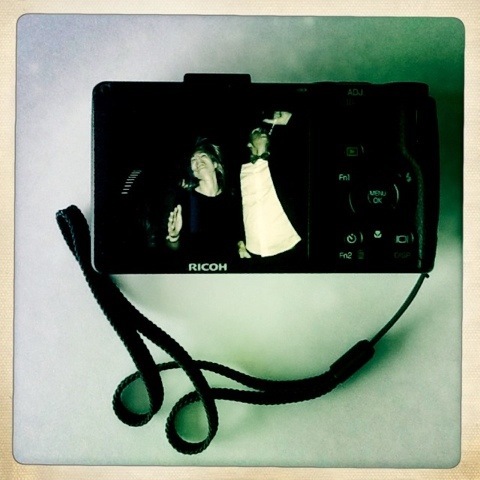 I´m so happy I got the little Ricoh GRD3. Although not as small as an iPhone it sure runs circles around the phone when it comes to delivering great night shots. Ok, it is no high ISO monster, so flash is a must, but with it I try to mimic the classic paparazzi style with harsh flash light and close-up snaps. I tried it out the first time while shooting in Barcelona, and I think it´s da bomb. All of this images are from one crazy evening at the Club 360 in Istanbul. And yes, this is how Swedes party. Love these, they are quite interesting shots. What I especially like is that they are apparently taken with the permission of the photographer. I am not sure I like the ones I’ve seen recently from other photographers, taken in such a way as to surprise the subjects.